Our product range includes a wide range of Dewatering Mud Pump such as Bentonite Pump Vertical Mud Pump, Split Casing Pumps, CRI Vertical Multistage Pumps, Centrifugal Monoblock Pumpset, Monoblock Pump, End Suction Pumps and many more items. Delivering water when it's needed the most. 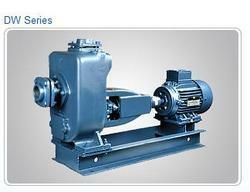 We are providing our customers with a very high quality Crompton Greaves Selfpriming Dewatering Mud Pumps. 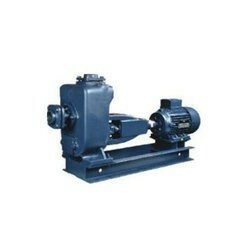 They are manufactured using very high quality raw material procured from the reliable vendors of the industry. It is a cost effective product and is easily available to our clients. The product is manufactured under the surveillance of our expert professionals keeping in mind the latest market trends. We have attained huge reputation as prominent manufacturer and supplier of Portable Dewatering Submersible Pumps. 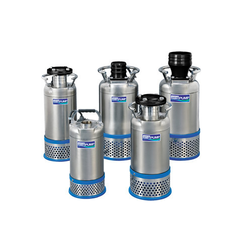 These pumps are well accepted in the market for their light weight, robust construction and excellent functional accuracy. 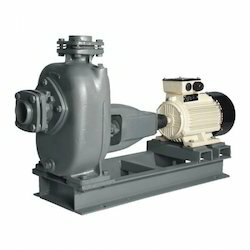 We design these pumps by utilizing latest tools and techniques as per latest industrial norms with quality tested raw materials. We supply these machines in wide specifications at affordable price range to our customers.